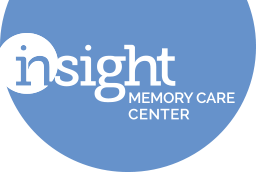 Insight Memory Care Center offers our sincere thanks to all of the supporters of the Pender Drive Expansion Campaign and their commitment to help us meet the growing need for care in our community. It is because of their generous support that we were able to open our doors to our current center on January 12, 2015. We are able to offer care, education, and support to more families affected by dementia and other memory impairments than ever before. The generosity of these donors has set us up on a path of growth that we can carry into the future, as we work towards our vision of a community where those affected by memory impairments can achieve the highest quality of life. The Pender Drive Expansion Campaign has closed, however, there are additional Giving Options to support Insight! Please contact Robin McGlothin for more information.